Heldon is a French electronic rock band created in 1974. 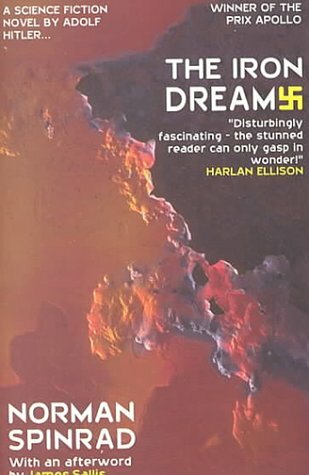 The name of the band was taken from the 1972 novel The Iron Dream by Norman Spinrad. Like its predecessor Schizo, it is above all the group of guitarist Richard Pinhas who released a large number of albums under his own name. He has worked with numerous collaborators among which musicians of the band Magma as well as philosophers such as Gilles Deleuze (of whome he was a student) and writers such as Norman Spinrad and Maurice Dantec (the Schizotrope project). Influenced by the work of Robert Fripp and Brian Eno, the music of Richard Pinhas and Heldon is sui generis and innovative and has in its turn greatly influenced the field of electronic rock. « Qui est advenu, ne serait ce quand dans une certaine mesure, à la liberté de la raison, ne peut rien se sentir d’autre sur terre que voyageur. Pour un voyage toute fois qu’il tentera vers un but dernier car il n’y en a pas. Mais enfin, il regardera les yeux ouverts à tout ce qui se passe en vérité dans le monde. Aussi ne doit il pas attacher trop fortement son cœur a rien de particulier. Il faut qu’il ait en lui une part vagabonde dans le plaisir soit dans le changement et le passage. Peut-être qu'en outre, comme en Orient, le désert s'étendra jusqu’à cette porte, que les bêtes de proie y feront entendre leur hurlement tantôt lointain, tantôt rapproché, qu'un vent violent se lèvera, que des brigands lui déroberont ses bêtes de somme. The band Schizo autoproduces the 7" Le Voyageur / Torcol with their last kopecks and distributes the record for free. On Le Voyageur (Eng: the traveller), the philosopher Gilles Deleuze delights by reciting with his piercing voice from Human, All Too Human by Nietzsche. Le Voyageur remains an emblematic recording in the discography of Schizo / Heldon / Pinhas and is featured on several compilations, most notably on Nova's Underground Moderne (2001). 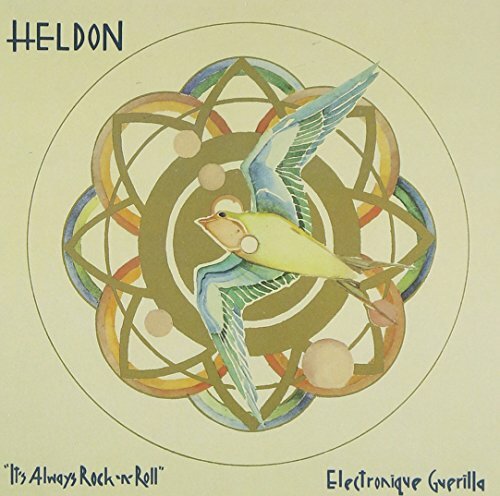 Like a lot of music that has been made in France over the last forty years, Heldon have either been dismissed out-of-hand or cautiously acknowledged. I suppose Tangerine Dream are their closest counterparts, and yet Froese and the Tangs are heaped with accolades. Norman Richard Spinrad (born September 15, 1940) is an American science fiction author. Heldon - Only Chaos Is Real [Amazon.com] Think French electronic music from the 1970s was nothing but sweet, bouncy doodles (as in J.M. Jarre or Tim Blake) or goofy tripped-out New Age utopian fairytales (as in David Allen's Gong)? Think again. Underground - La Compile By Actuel [Amazon FR] | Underground Moderne [Amazon US] In fact, Deleuze himself participated in such an act of musical philosophy when he joined Pinhas and his fellow musicians in a Schizo recording session in 1972. At a studio sixty kilometers from Paris, the musicians laid down a bolero-like backing track over which Deleuze recited a passage from the final aphorism, "638: The Wanderer," in the first volume of Nietzsche's Human, All Too Human (Nietzsche 203-04).11 This track, "Le voyageur," [Requires Real Player] was one of the two Schizo singles released in 1973, and was shortly thereafter incorporated into Heldon's first full-length album, Electronique Guerrilla (Heldon 1973). This album, which was re-released on compact disc by Cuneiform Records (U.S.) in 1993, sold quite well upon its initial release in France and allowed Pinhas and Heldon to commit themselves to music full-time. this compilation, by Radio, set me on to Heldon, the track "Le Voyageur" has Deleuze reciting Nietzsche over guitar music.